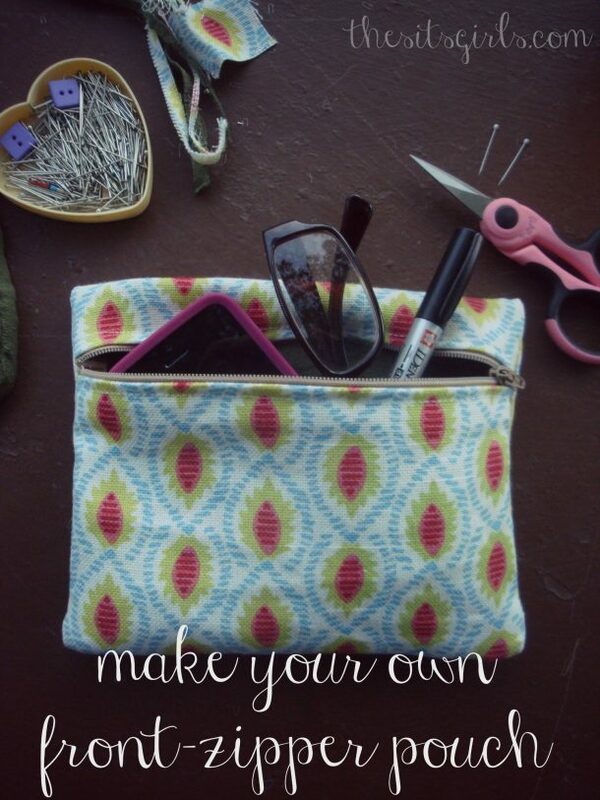 Want to make a pouch and organize all those small knick-knacks you have floating around the bottom of your purse? Now you can! 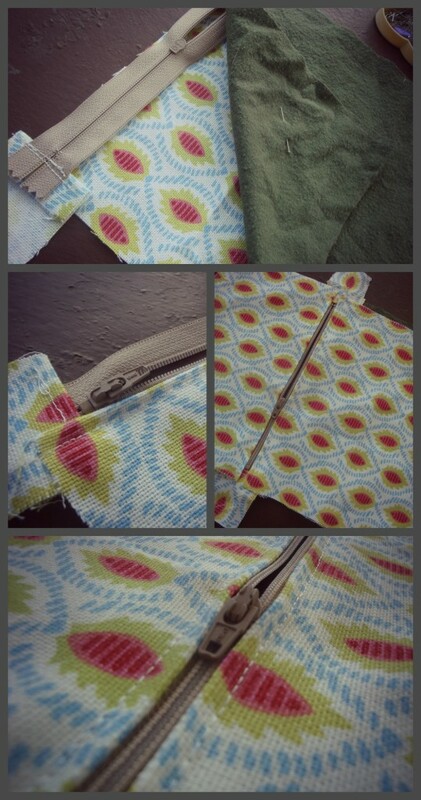 This DIY is easy to follow and will have friends and family asking, “where DID you get that pouch?” in no time flat. I am not a small-purse carrier. In fact, some have refered to my bag as a satchel. What? Sometimes you need a pair of scissors and I like to be prepared. I’ve found the only way to keep a satchel organized is pouches. I have one for pens, one for my phone and glasses, one for make-up, one for first aid supplies…you get the idea. Lots of pouches. 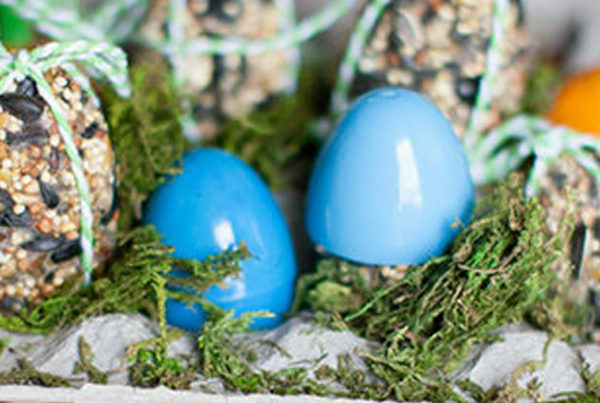 Here’s the great thing: they’re easy to make! 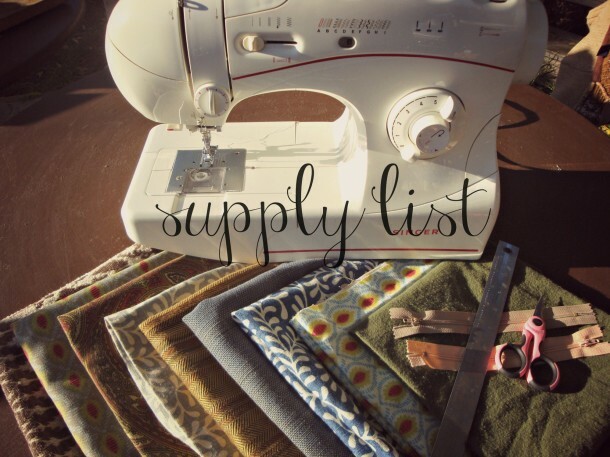 Not pictured in the supply list, you’ll also need some pins, and if you want to make a paper pattern, paper and pen. First, you’ll cut an 8 in. x 7 in. piece out of both the outside fabric and the lining fabric. Next, you’ll cut 8 in. x 4.5 in. pieces from each fabric. If your pattern has a direction, remember to cut the fabric in the same direction. Then cut a couple of small rectangles from the outside fabric. I didn’t measure mine, but if I had to guess, I’d say they were 1.5 in. x 2.5 in. 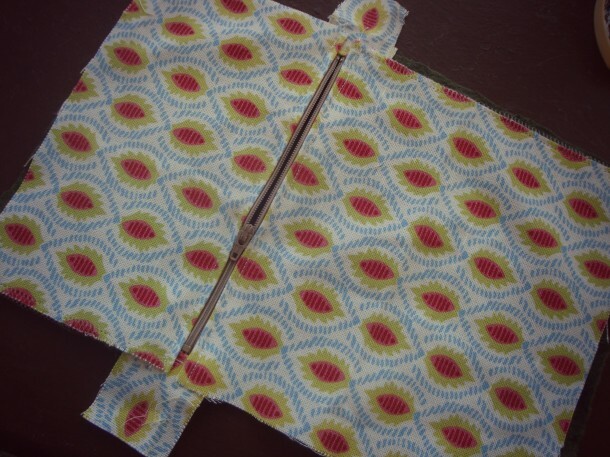 Take the two small rectangles, pin them to either side of the zipper with the pattern facing the pull-side of the zipper. Stitch them together as close as you can to the bottom stop and, on the other side, the top stop. 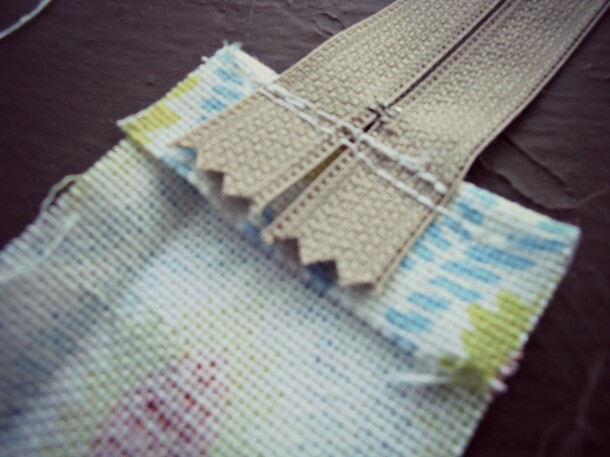 Once the rectangles are attached to the zipper, flip them back on themselves and stitch down. Now it’s time to assemble the sides. 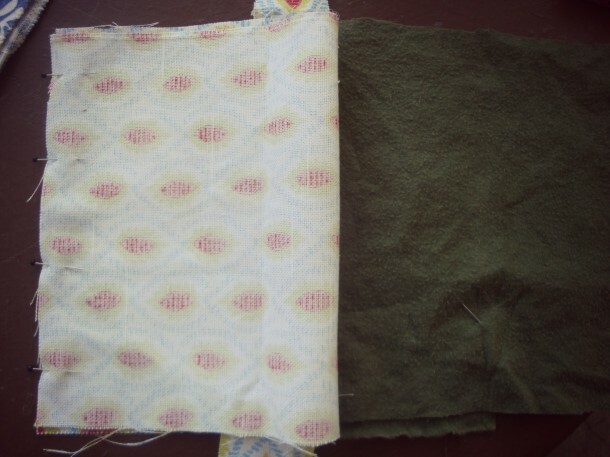 We’re going to start with the larger lining/outside fabrics. Lay the outside piece down, face up. Next, lay the zipper, face down on top. Finally, lay the lining piece on top of it all. If your lining fabric has a print, you’ll want the print face down. Pin and stitch across the top. 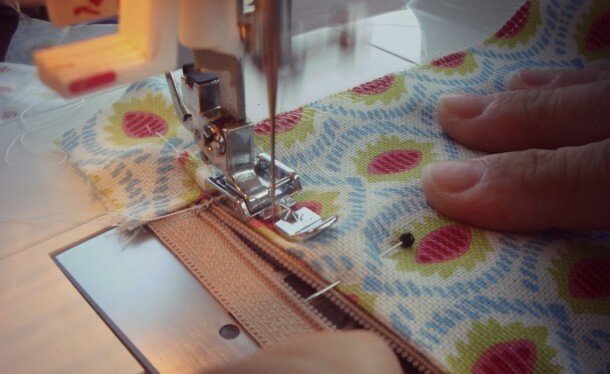 In my opinion, it’s helpful to stitch up to the zipper-pull, stop, slide the pull to the already stitched part, then continue. 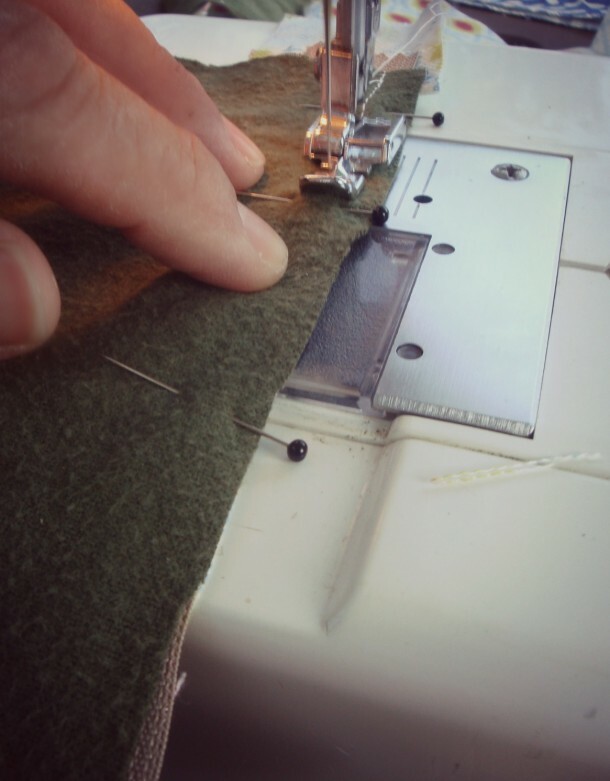 Otherwise, your stitching is going to go crooked when you stitch past the pull. 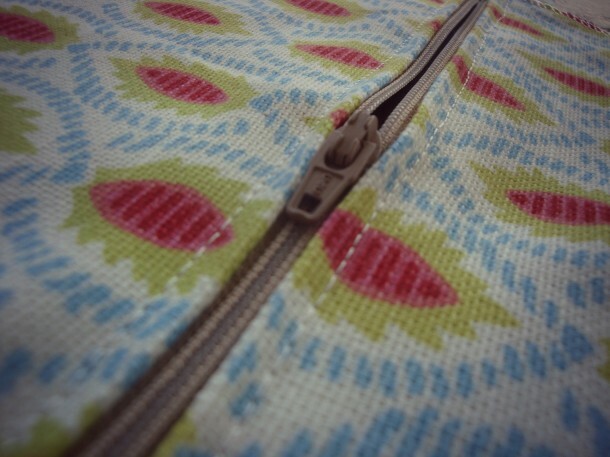 Once stitched, turn it so the pattern sides are facing out and topstitch it as close to the zipper as you can. 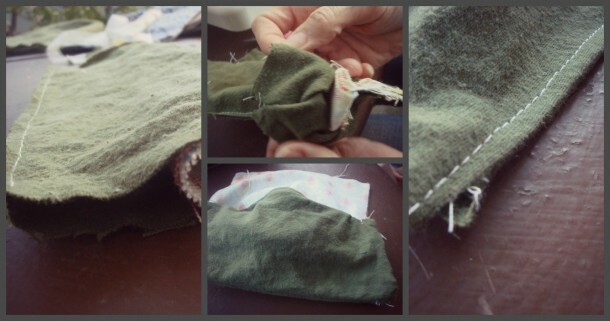 Do the same thing for the smaller outside/lining on the other half of the zipper. 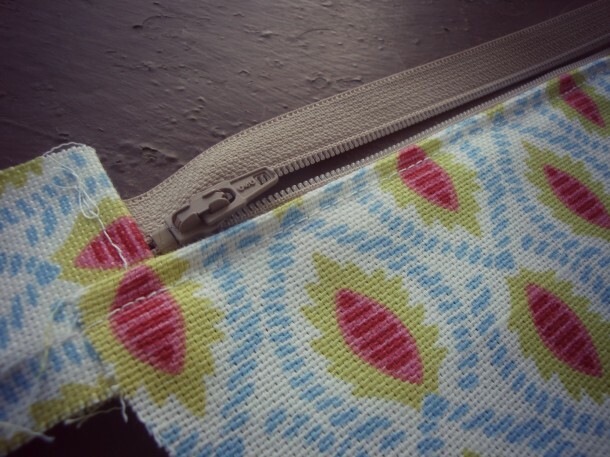 Now that the zipper is in, you can trim the excess from the small rectangles. 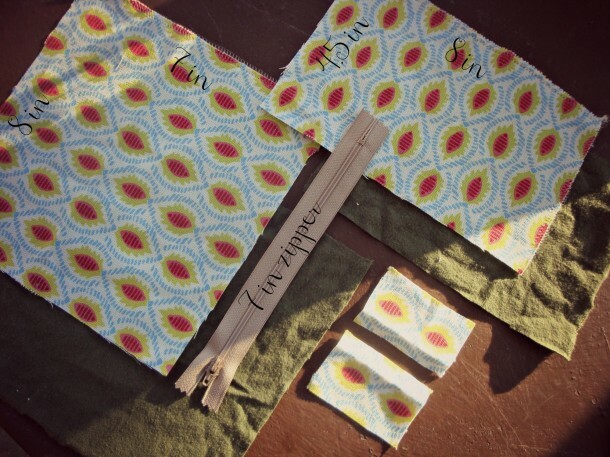 Flip the pouch so the outside fabrics are facing each other, pattern to pattern. Line the ends up, pin and stitch across. 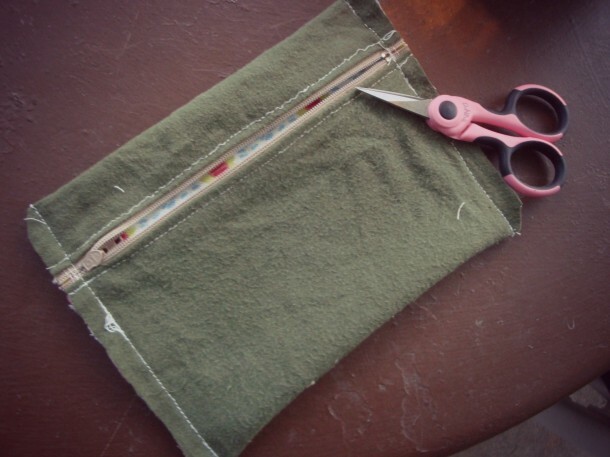 Now when you flip it and lay the pouch flat, the zipper should be about 1.5 inches down the front of the pouch. Pin the fabric just past the zipper and stitch that 2 inches or so down, stopping just past the zipper. It’s important that the zipper is not all the way closed. Curl the outside fabric up so as not to get stitched into the lining, and pin and stitch across the bottom of the lining. 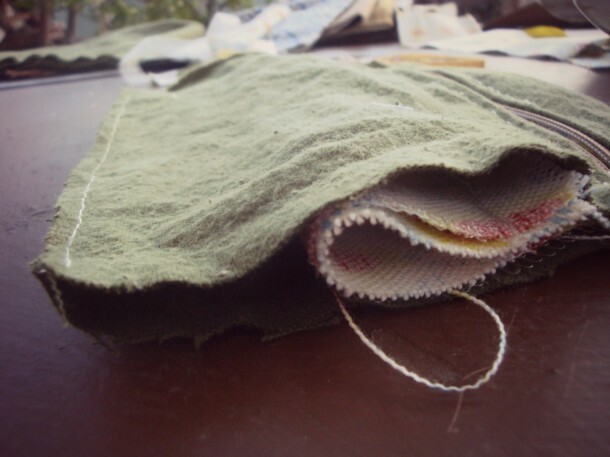 Turn it and stitch along the bottom of the lining, hiding the stitch you just made. Turn once more and now it should resemble a bag with the sides open. 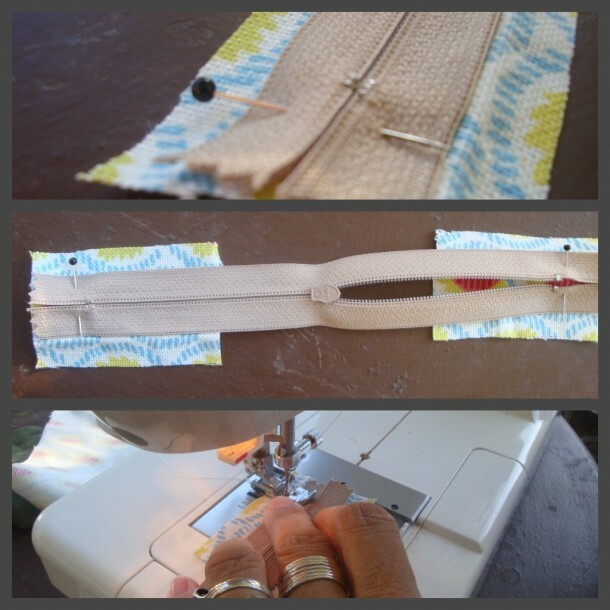 Pin the sides and stitch those closed. 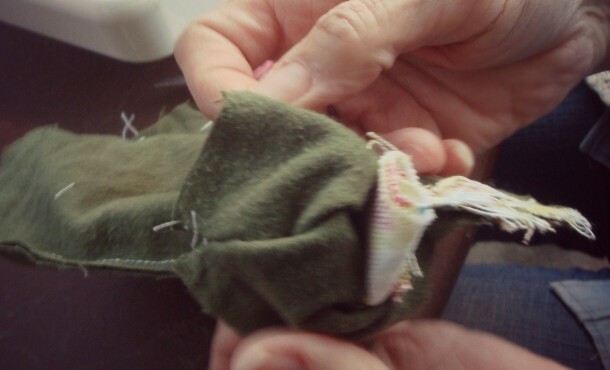 Once they are stitched shut, trim the excess fabric and snip the corners at an angle to allow for a little more room when you turn it out for the final time. 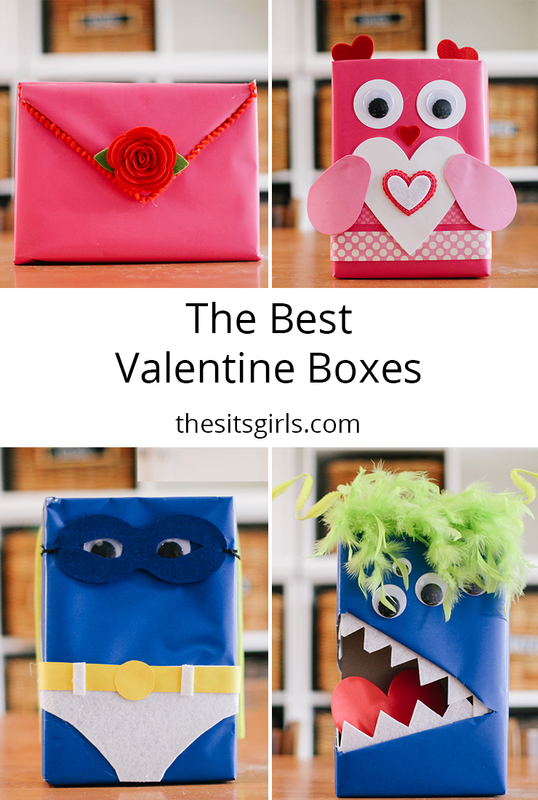 Turn it out, making sure to poke the corners out with your finger or a boning tool, and you’re ready to fill it with whatever your heart desires! You can use the same idea to make larger pouches for traveling, pouches out of a treated material for reusable lunch bags, or pouches to wrap a gift in. 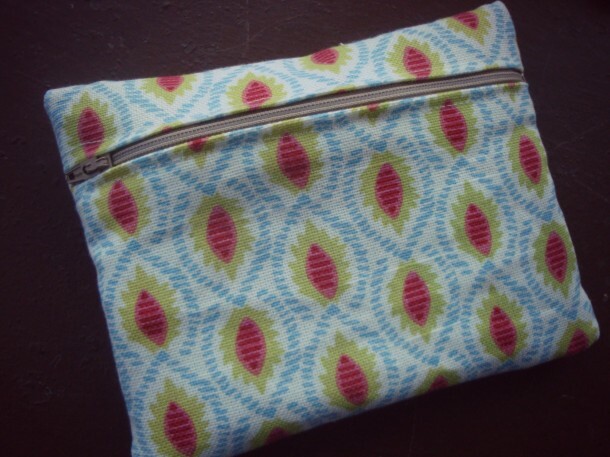 Give it a whirl and make a pouch today! Mama, artist, craft-hunter and doodler-extraordinaire. Next PostSharefest Saturday All New This Week...And On Pinterest! This such a simple tutorial. Thanks for posting it. LOVE, LOVE, LOVE. I’ve been trying to sew a little. this looks like something I might actually be able to do. Very cute! I don’t have a sewing machine right now. but may get one – my daughter is getting into sewing now. This looks like a good project. I got a D in Home Economics for sewing. Not sure I can even do this, but you make it look so easy! Thanks. 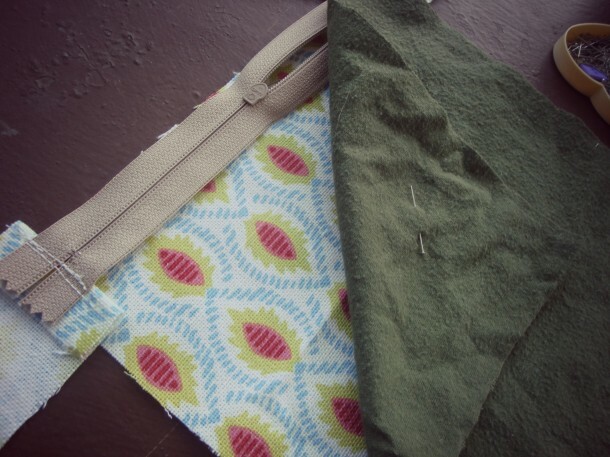 Really need to invest in a sewing machine… I’ve recently developed a fondness for pouches, too! I so wish I had the slightest bit of the home arts gene. But alas, it is missing from my body. 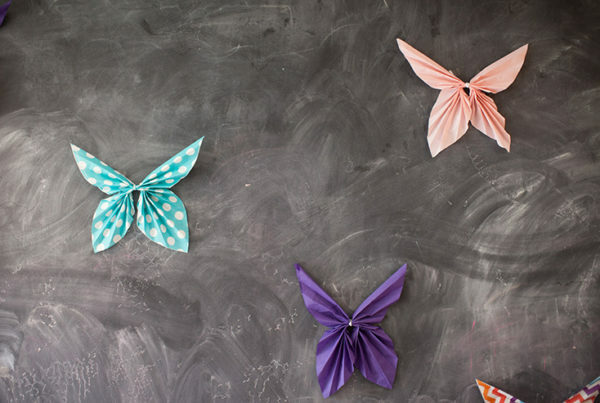 So I live vicariously through another blog’s crafty skills! That pouch looks great… I made a bunch of bigger ones a while back, to keep my suitcase organized while traveling this summer, but was too lazy to line them… I’ll have to keep this technique in mind for next time! This is super cute! Now if only I had a sewing machine, and some sewing skills!